Mention the word “hostel” and most people recoil in horror, perhaps haunted by memories of dirty dorms, queues for the bathroom and rowdy backpackers. But hostels have transformed in recent years into some of the best value accommodation around, offering the same comfortable rooms and range of facilities you’d expect in a hotel. As the credit crunch bites and travelers cut back on their holidays, this couldn’t be a more timely transformation—why pay the high room rates of hotel chains when you can get the same standard in a hostel? Forget the standard youth and backpacker hostel, the term now covers a huge range of lodgings, from guesthouses to beachside apartments (you can even find hostels in tree-houses and old castles these days!). Many hostels now boast private rooms with ensuite bathrooms, widescreen TVs and even a Jacuzzi if you’re lucky! 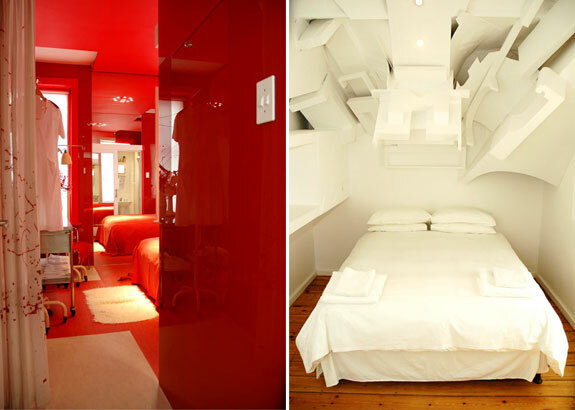 The rise of the ‘boutique’ or ‘design’ hostel in major cities, with cutting-edge design, stylish interiors and high-tech facilities, is perfect for those of us that want to be cheap and chic. La Controra puts the flash in flashpacking —a buzzword used to describe the new crop of travelers with more cash to burn, demanding higher standards and facilities from hostels, but looking to keep some of the travel spirit of their dirt-poor backpacker days. 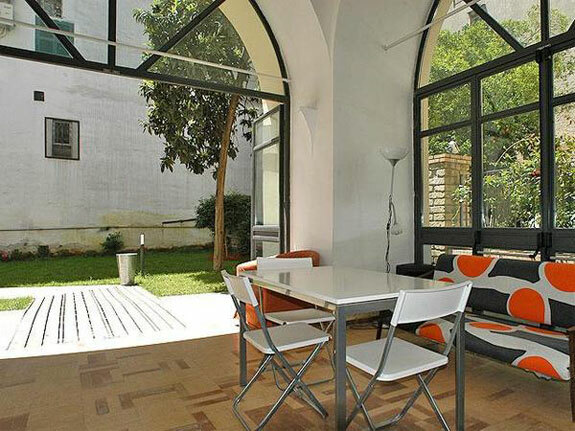 This hostel occupies a former monastery in the heart of Naples, renovated with bright walls and art sculptures placed around the building. 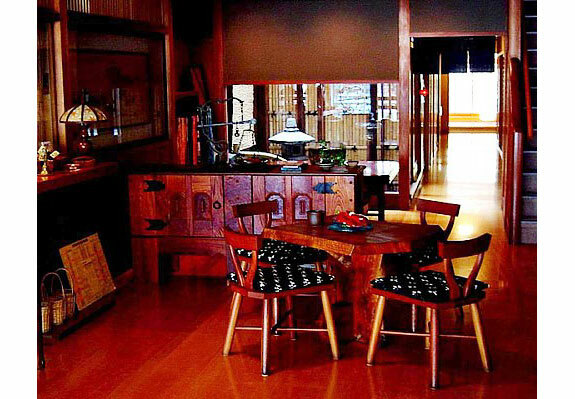 The rooms are decorated with offbeat “good luck charms”, from sea shells to coffee pots. Out back there’s a lush garden filled with hammocks. The La Controra lounge bar hosting contemporary art exhibitions and film screenings, a games room and free breakfasts. This hostel is run by the same family who brought the boutique hostel to Lisbon—the Lisbon Lounge has been voted one of the best hostels in the world time and time again. 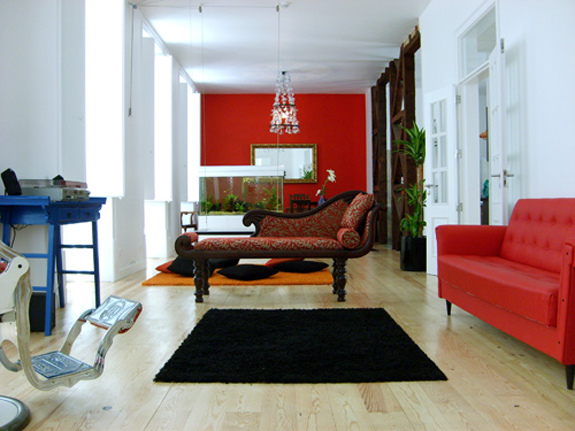 The Living Lounge is no less luxurious, and is the hippest hostel in town. In the heart of the city, close to the upscale Chaido and the historic Baixa neighborhoods, the Living Lounge is also a stumble away from Lisbon’s uber-cool nightlife. The hostel oozes contemporary cool—each stylish room has been decorated by a local artist, there’s a funky bar and lounge downstairs and a chill-out Garden Room upstairs, complete with fake grass. Staying at the Daddy Long Legs is like sleeping in an art gallery. 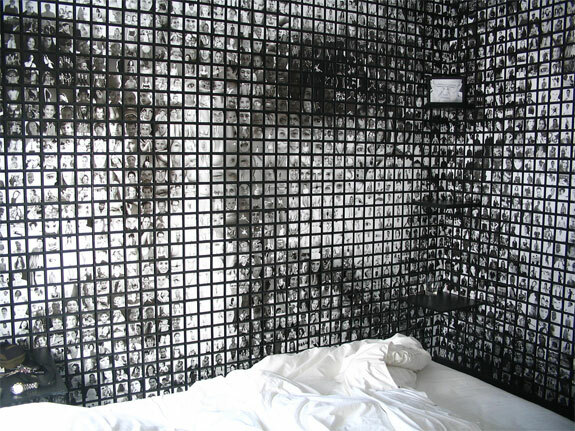 How else could you explain the feeling of waking up surrounded by walls of abstract art? There are only 13 rooms at this independent hostel, each decorated by different artists—be they musician, poet or photographer. 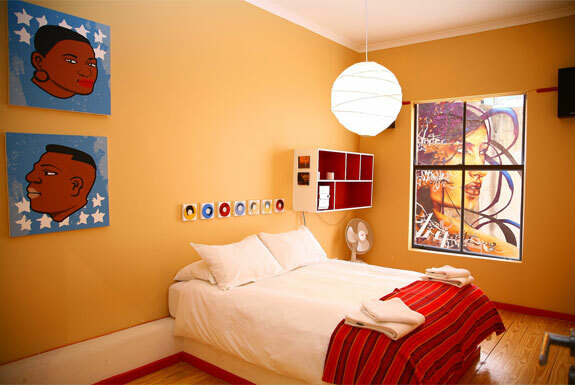 In the heart of Long Street, Cape Town’s most bohemian area, the Daddy Long Legs has the most comfortable and cool rooms in the city, and with a free drink on arrival, you know from the outset that this is no ordinary hostel. The chicest place to “stay” in LA, this hostel is run by former backpackers with a taste for high-end style. With an in-house art gallery, eye-popping colored walls and funky furniture, Stay is loaded with cool extras like a computer cluster of Macs and X-Boxes to play video games in the lounge area. If you’re feeling peckish, the Tuck Restaurant will deliver comfort food to your room, or head down to the Nip lobby bar when it opens in the summer. Located in downtown L.A., great ethnic cuisine is only a walk away in Little Tokyo and Chinatown. Fittingly, the Museum of Contemporary art is also close by. 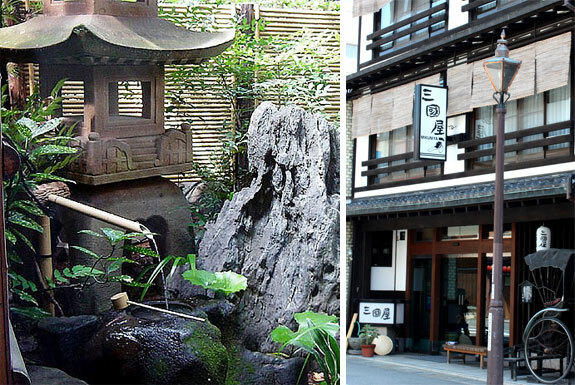 This hostel is the ultimate indulgence, offer a luxurious spa break in the Kinosaki Spa resort. 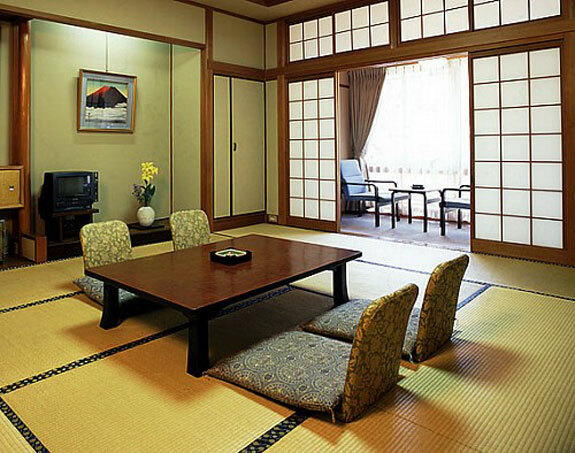 For a calming, restful retreat in zen-like surroundings, this guesthouse is housed in a Japanese Style Inn built in the late 19th century. Traditional but with achingly modern interiors, the Mikuniya Ryokan has three hot spas, filled by the local hot springs that are known for their restorative properties. Believed to relieve joint pain, relax your muscles and improve your circulation, this is the perfect place to unwind, before exploring the neighboring temples or tucking into fresh sushi in the dining room. Huge thanks to Lauren for guest writing this post. Lauren usually writes for HostelBloggers, the Insider’s Guide to Budget Travel. A frequent flyer herself, she is always on the lookout for stylish accommodation that doesn’t break the bank! HostelBloggers, not incidentally, is connected with HostelBookers, which is Spot Cool Stuff’s favorite booking engine for low cost accommodations. Many high value hotels and backpacker digs not found through the major booking engines are available through HostelBookers. Check them out on your next budget trip. And, in the meantime, follow them on Twitter @hostel. Amazing list! Thank you for the fabulous recommendations! 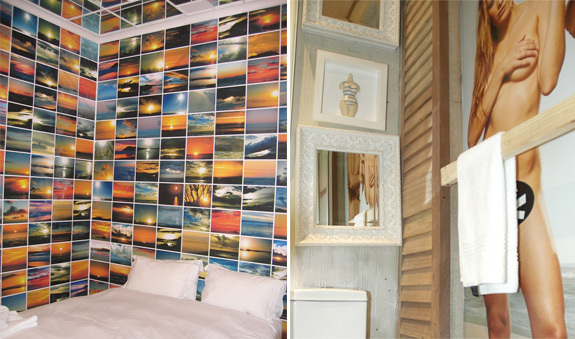 Times have changed and there are extraordinary boutique hostels all over the world! Do you have a favorite among them? You are so right about mention the word “hostel” and most people think of dirty, damp hovels. I just couldn’t believe the photos you’ve put up, they look like great places to stay and I just love the funky retro styling, Fab, keep up the good work. Surfing the World will help you find the perfect surf accommodation worldwide- anything from overnight surf camps to budget hostels, B&B’s and Cabinas to luxury hotels and resorts – whatever suits you best. i have been in a couple of the they are very nice, but you are quite exclusive on picking only 5 from the whole world, there are so many!!!! 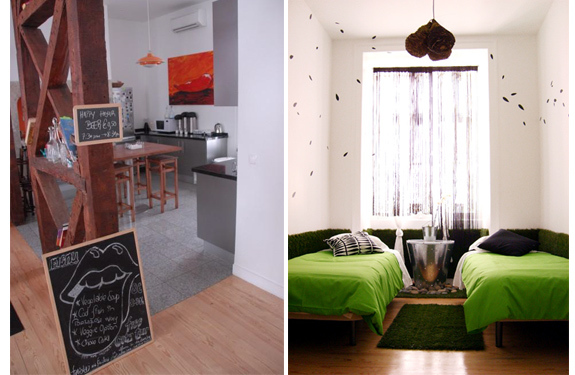 Sweet – these “hostels” are awesome! Such vibrant colours as well. Why am I not surprised the LA one looks like a bachelor’s pad? The last time I stayed in a hostel was a number of years ago in Tel Aviv for 6 weeks, and I vowed never to do it again. However these places look like they worlds apart from my experiences. Yeah, the word “hostel” has taken on a more expansive meaning than it once had. I’ve stayed at my fair share of hostels too (and Israel, for whatever reason, has more than its fair share of bad ones). You are right — these 5 hostels are in a totally different category. thanku so much for making this blog with very nice hostel. all list are very nice but no 6 is fantastic. Now an old fart, I travelled widely 40 years ago. Now my wife and I want to do a real cheapo cycle (as in pedal) tour of Portugal. Any low cost accomodation ideas ? 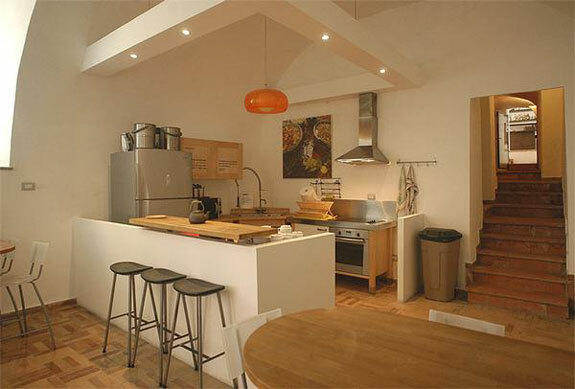 Definitely check out the offerings on HostelBookers—they are really fantastic for booking inexpensive accommodations. A few of their most youth-hostel-like offerings are not particularly “old-fart” friendly (especially in urban areas) but the majority have clientele of all nationalities, ages and backgrounds. Without knowing your route is is hard to suggest specific places but four (of many) Portugal accomodations worth checking out: Hotel Convento D’Alter (a great value 4-star property in Alter do Chão), Peniche Beach House (right on the ocean in Peniche), Pensao Mar Azul (in beautiful Lagos) and the Cruz da Baleia Country House. Wow – how backpacking has changed since my days of globetrotting! It just goes to show that good value does not necessatily equal low quality. If you want to be in a chilled out, bohemian type hostel on the outskirts of the city I think Glebe Point YHA is just the ticket! It is one of the most chilled out and cool hostels I have ever stayed in anywhere in the world. If you’re looking to be Right in the centre of Sydney, you can’t get any better than with Sydney Central YHA. SCYHA is the largest hostel and the only five star rated hostel in Australia. It is lively yet clean, comfortable and has all the trimmings! Mid way between Sydney and Brisbane, Coffs Harbour YHA makes a great stopover for backpackers traveling the east coast. The purpose-built YHA hostel is located close to the jetty and beach, and is extremely laid back! Escape to the Blue Mountains famous for its scenery and bushwalking. Explore this World Heritage area, packed with adventure activities. Try abseiling, canyoning, mountain biking, Jenolan Caves tour or just enjoy the local pubs and cafes. Winner of Best Backpacker Accommodation at the 2005 Australian Tourism Awards, this historic art deco building is a cosy, friendly YHA hostel with everything including a log fire! Sydney’s northern beaches YHA hostel is a high quality backpacker/ traveler’s resort situated 50 metres from one of Sydney’s best surf beaches. Modern accommodation with swimming pool and BBQ area, common area with arcade games, pool table, ping pong, and awesome lounge area! You are clearly a man who knows his Australia hostel. I’ve stayed at the Sydney Central YHA before and it does have a rather cool rooftop pool. SPOTCOOLSTUFF Travel reviews unusual hotels and restaurants, great attractions, cool travel gear, places with amazing views and all manner of travel destinations with a WOW! factor. Because we live on an incredible planet! Get our latest travel posts by email . . . Awesome Curacao vacations — up to $530 off! 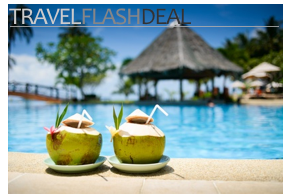 Check out the freebies offered too, including airfare credits, breakfast and room upgrades!